When we hear about Nokia, we all become nostalgic and think back to our early youth time when each of us used a Nokia phone. We have a deep bonding with Nokia phones. They were durable & good looking with long lasting battery and components. If anyone ever asks “how is Nokia phone?” Always the answer is “they are very good”. Thus a de facto impression has been built for Nokia Phone. 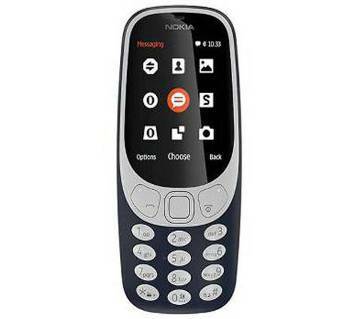 The New Nokia 3310 phone is just like that old trustworthy phone in this recent smartphone world. People use this phone as a secondary device along with their smartphone. 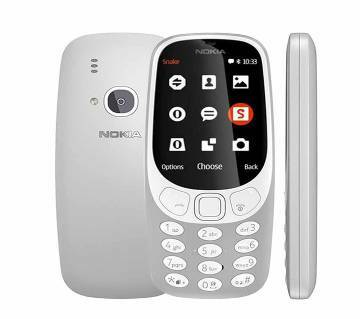 If any phone can sell itself on nostalgia alone, that phone is the Nokia 3310. 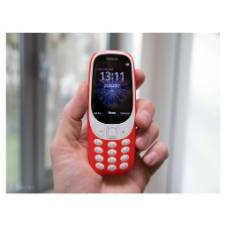 The new Nokia 3310 has a massive battery life as it was in our old days. It will not replace your iPhone but surely that old-school Nokia fanboys will love using this feature phone. 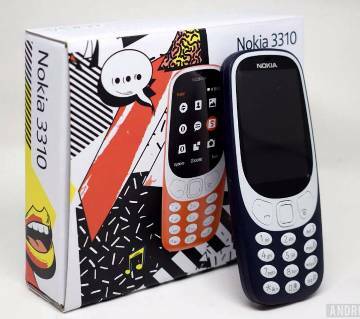 Most of the people use Nokia 3310 as a secondary phone. As this is a durable and long-lasting battery life this phone easily support you for a couple of days in fact for a couple of weeks without any hassle to charge. People who need to talk for a long period of time on the phone; Nokia 3310 is the smartest option for those. This phone is very cheap and easily recommended to the traveler who needs battery backup for a long period of time rather than smart features. With no Wi-Fi, no apps and no touchscreen, there's no way the 3310 can keep up to our modern lives. But it has two important lifesaving features: its price and its month-long battery life. This phone is actually very cheap. It’s cheap enough to give it to your child with a bunch of contacts no, and now you don’t need to worry about to repair the cracked display of smartphone anymore. AjkerDeal offers a wide collection of mobiles including smartphones & feature phones in the mobile phone section. 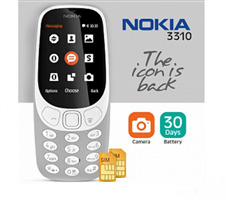 We offer Nokia 3310 at the lowest price in the market of Bangladesh. If you are looking for Nokia smartphone you can also check out Nokia 6 price in Bangladesh to get the best price at AjkerDeal.com! Besides, we also have Nokia 5 and lots of other smartphones and feature phones from various renowned brands. We offer EMI & warranty with our products. 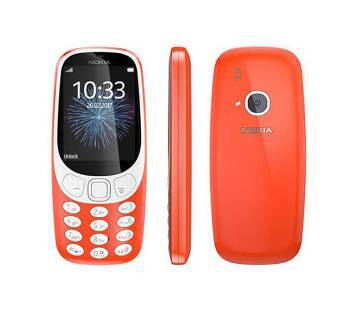 If you are looking for the Nokia 3310 Price in Bangladesh, check out AjkerDeal.com to get the detail specification and price details. You will get the best price in the market at our store because we collect the phones directly from the dealers and give you the best one. You will always get a warranty and product satisfaction is guaranteed. Place an order through our mobile apps and get a free home delivery service. Stay tuned for more upcoming offer and discount on various products. Enjoy a great shopping experience at AjkerDeal.com! AjkerDeal always offers the best quality product on the market. We are the leading online trusted e-commerce company in Bangladesh; we always do care about our customer satisfaction. That’s why we always have the best quality products for our customers. Visit our website ajkerdeal.com for more details. Happy Shopping!